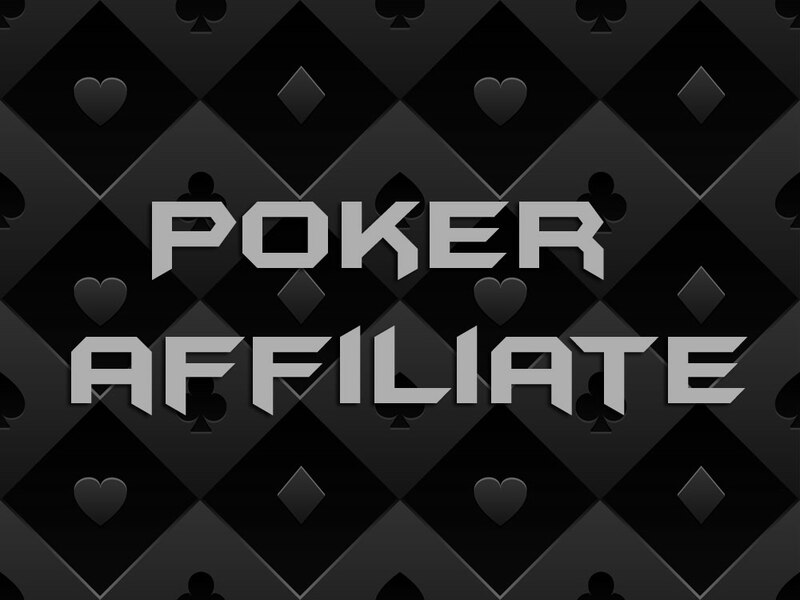 Many poker enthusiasts are now turning to affiliate marketing to make some extra cash. Becoming a UK casino affiliate has its financial perks but some argue that Poker is more beneficial when it comes to affiliate marketing success.The key to being successful in an affiliate scheme is to promote the games that are most appealing to you, or the ones that you are the most passionate about. Becoming a poker affiliate or a casino affiliate both have their pros and cons, this article will discuss these in more detail. As more and more people are looking to generate a permanent income by playing online poker, poker affiliate schemes are becoming increasingly lucrative. New players are signing up to poker sites every day meaning that there is revenue to be had. When online poker was first introduced there was a huge boom in the affiliate market. Since then, many affiliate marketers have moved on to different projects due to the decrease in income from poker affiliation, leaving a room in the market for newcomers. Although the money in affiliate poker marketing has decreased, it is still a worthy consideration for those looking to start affiliate schemes. Retention in players has become more of a risk than in the past. Player loyalty does vary and means that players will usually go between different poker rooms based on the best promotions. A consistent return on investment. Many new players signing up regularly. Strong poker brands making conversions more attainable. A Drop in the number of web-masters focusing on poker affiliate marketing. A huge selection of online resources allowing poker players to learn more about the game and become more successful, leading to retention. The future of poker affiliate marketing is uncertain. Loyalty of players is weak, making retention a challenge. Poker affiliation has become over saturated and competitive, meaning investment for new affiliates is high. The industry changes often, making predictability difficult. Bigger poker sites have such a following that it is difficult for new poker rooms to stand out from the crowd. Can attract profitable players with the right keywords. Over time, most players will lose money, making it profitable for affiliates in the long run. Good player retention with the right casinos. The potential for a large income when first starting out. New casinos usually do well when they first start out. There is lower competition with smaller traffic niches. Conversion rate is high, and it is fairly easy to get players to landing pages. Difficult to know which affiliate program is trustworthy. Primary keywords are very competitive and promotion can be costly. Casino terms and conditions frequently change and usually not in the favour of affiliate. Casinos offer lots of bonuses which have a large impact on affiliate earnings. Online casinos close down fairly often, many also close their affiliate programs and continue to operate. Casino affiliation can be a risky game, poker affiliates on the other hand are more likely to see a return on their investment. Making money as a poker affiliate isn’t easy though, it is definitely not a “get rich quick” scheme and to be successful as with any career choice, hard work and time is required. Affiliate marketing success is down to driving traffic to your site, which can be very difficult. To truly succeed in the affiliate marketing field, steady financial investment is required, and the ability to think ahead and not be put off by initial losses. Building a successful website that will drive traffic to affiliate links to make you money is not a quick process, however when it is done right, it can be very profitable.